Cara Meredith grew up in a colorless world. From childhood, she didn't think issues of race had anything to do with her. A colorblind rhetoric had been stamped across her education, world view, and Christian theology. Then as an adult, Cara's life took on new, colorful hues. She realized that her generation, seeking to move beyond ancestral racism, had swung so far that they tried to act as if they didn't see race at all. But that picture neglected the unique cultural identity God gives each person. When Cara met and fell in love with the son of black icon, James Meredith, she began to listen to the stories and experiences of others in a new way, taking note of the cultures, sounds and shades of life already present around her. After she married and their little family grew to include two mixed-race sons, Cara knew she would never see the world through a colorless lens again. A writer and speaker in an interracial marriage and mixed-race family, Cara finds herself more and more in the middle of discussions about racial justice. 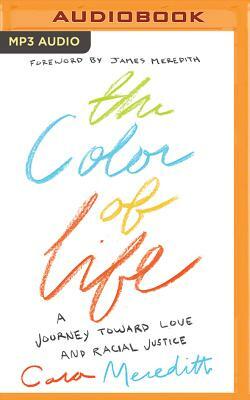 In The Color of Life, she asks how do we navigate ongoing and desperately-needed conversations about race? How do we teach our children a theology of reconciliation and love? And what does it mean to live a life that makes space for seeing the imago Dei in everyone? Cara's illuminating memoir paints a beautiful path from white privilege toward racial healing, from ignorance toward seeing the image of God in everyone she meets.